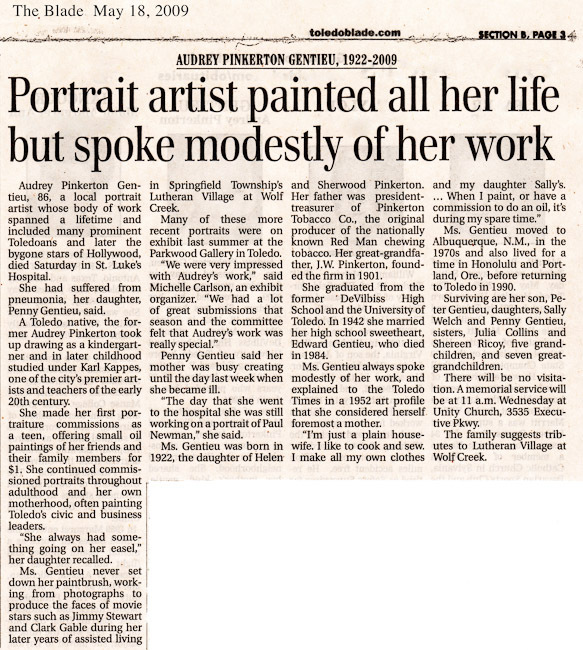 Audrey Pinkerton Gentieu, (1922 – 2009) born in Toledo, Ohio, painted portraits for over 75 years. She studied oil portraiture with Karl Kappes (1861–1943), a German-trained painter who taught not only Audrey, but also her father and her grandfather when they were young. Audrey was fascinated by faces. 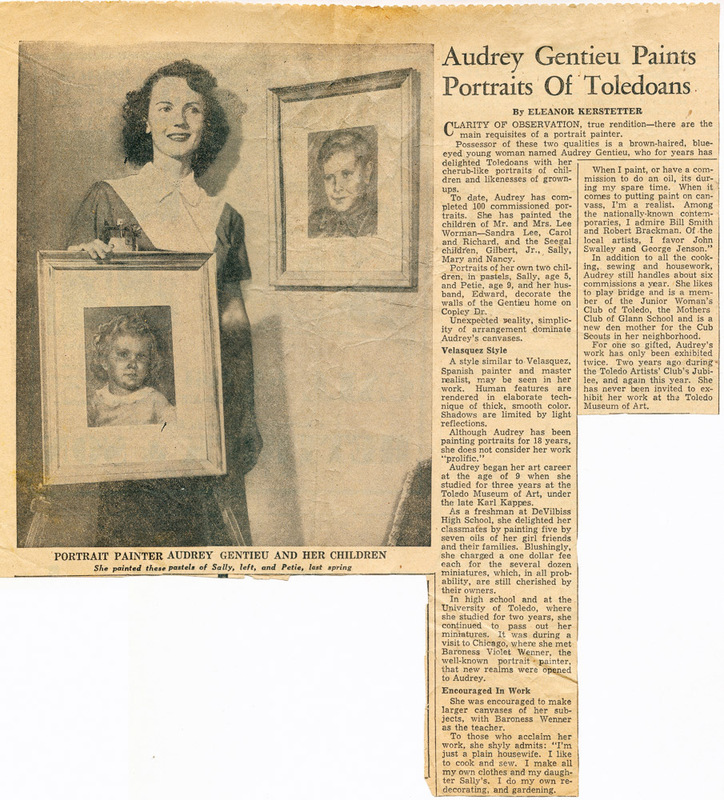 She started sittings of children and adults as a freshman at DeVilbiss High School, making small oil portraits for $5 a head. 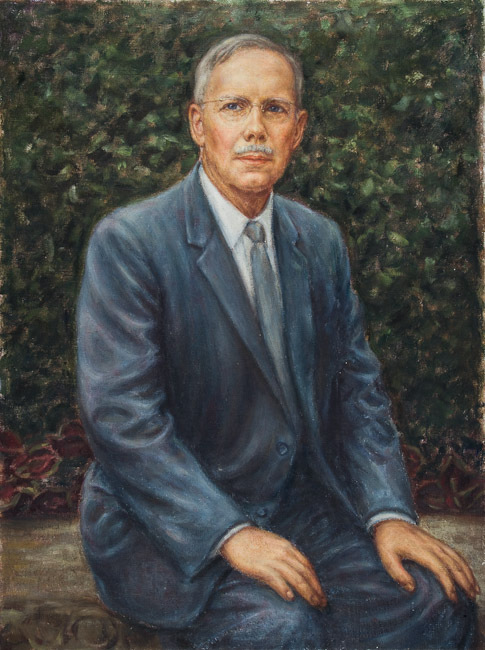 She donated a portrait of the principal to the school when she graduated. 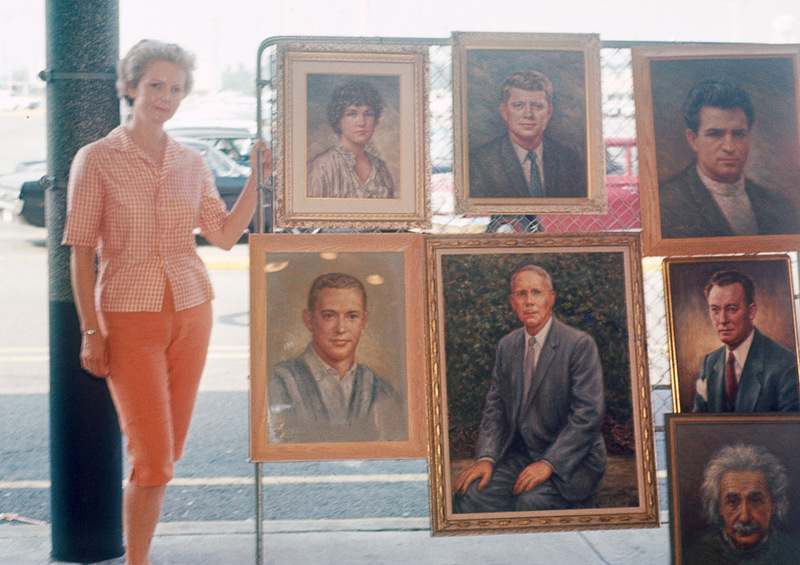 Married at the age of 19, she freelanced her trade while raising a family of three children. 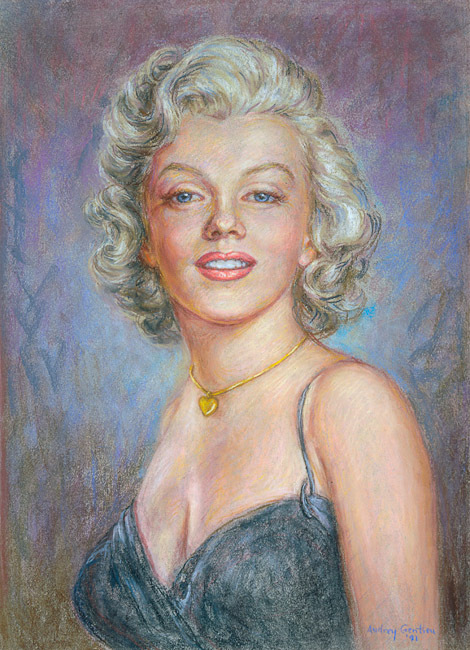 She experimented in pastel portraiture in the Fifties and developed her own particular style of impressionistic realism. 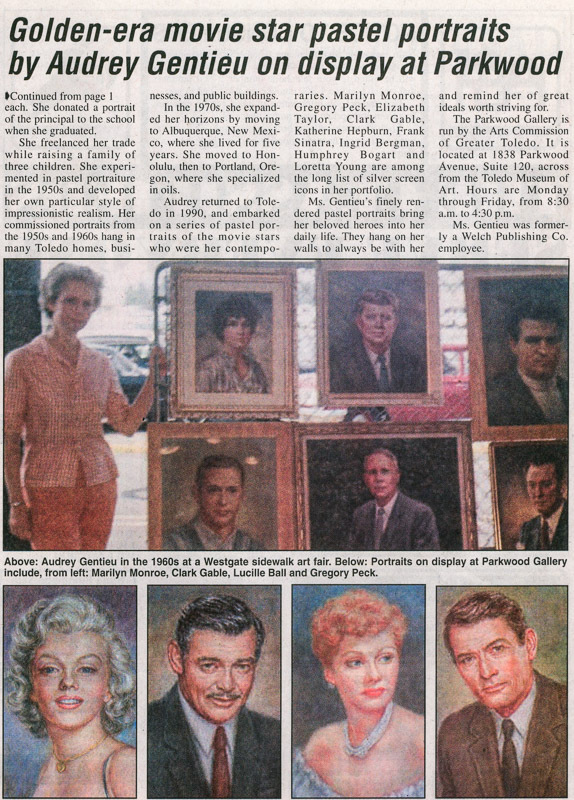 Her commissioned portraits from the 1950’s and 1960’s hang in hundreds of Toledo homes, businesses, and public buildings. 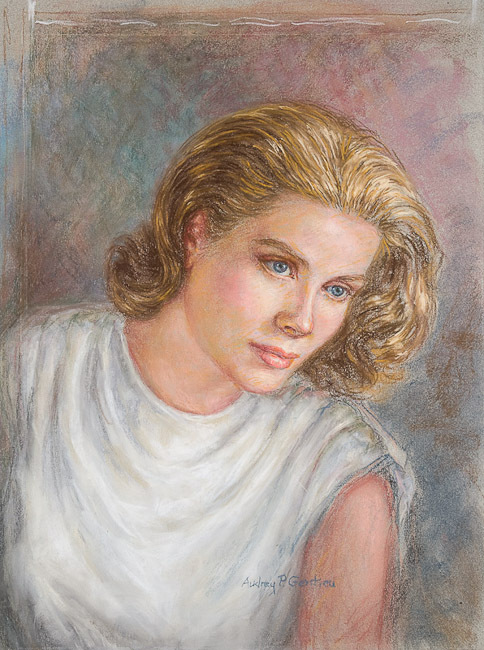 Alone in the 1970’s, she expanded her horizons by moving to Albuquerque where she lived for five years but didn’t paint. 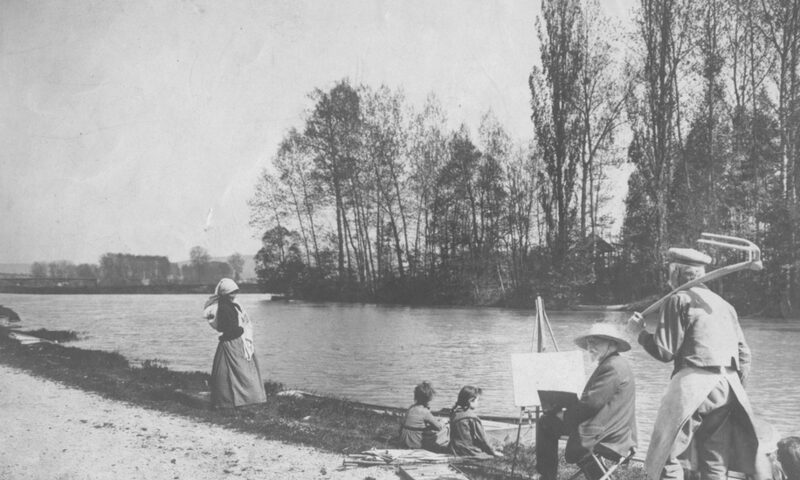 She moved to Honolulu, then on to Portland Oregon, where she specialized in oils again. 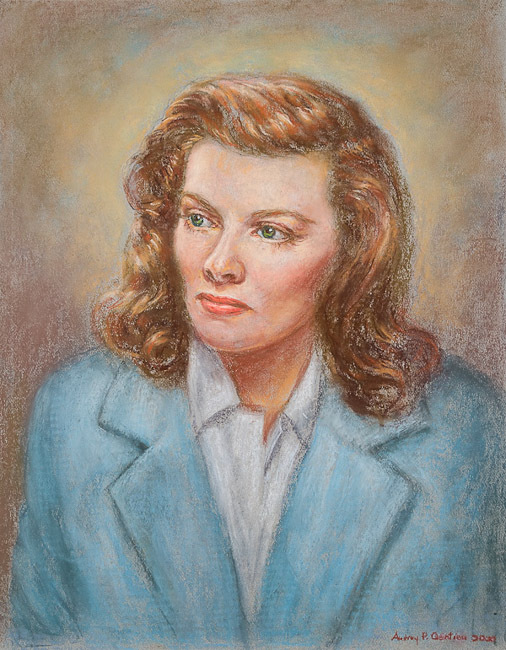 Audrey returned to Toledo in 1990 and embarked on a series of pastel portraits of the movie stars who were her contemporaries. Audrey’s generation of movie stars were like America’s version of Olympian gods. 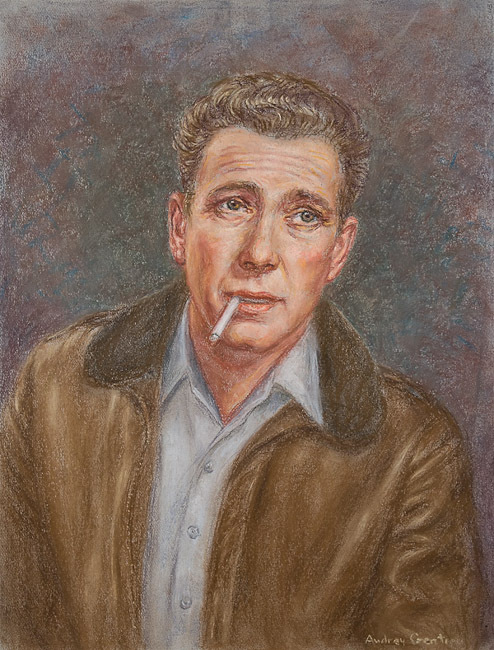 Her portraits portray the ideal beauty, glamour and character of a bygone era. The likeness and sensitivity that Audrey put on paper with each stroke of subtle color express a longing for the perfection and beauty of the charismatic idols from her youth. 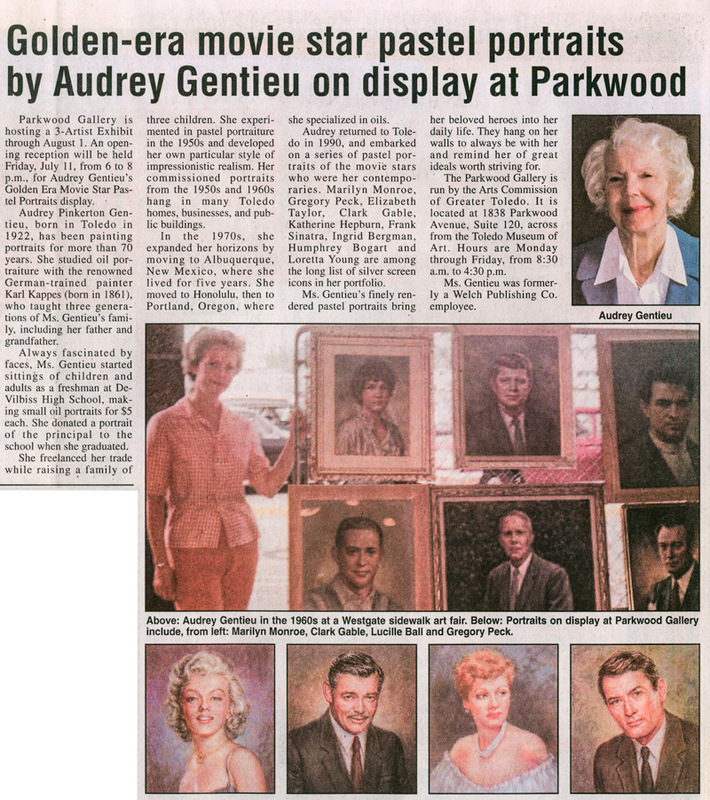 Audrey’s finely rendered pastel portraits brought her beloved heroes into her daily life. 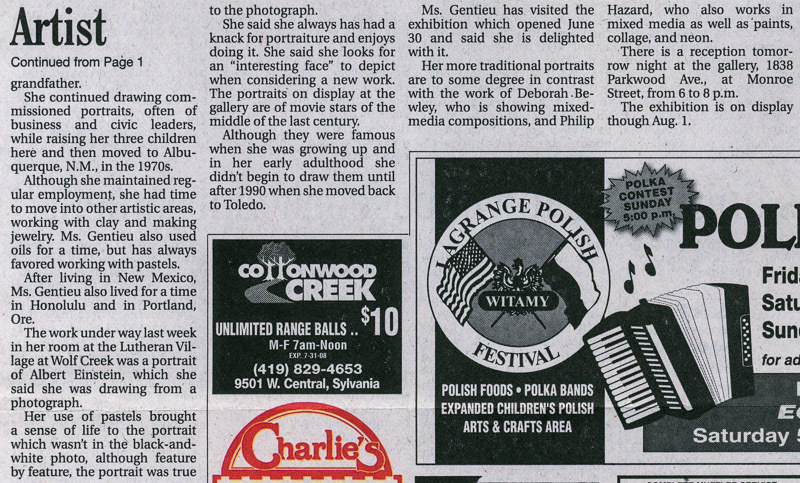 They hung on her walls to be with her and remind her of great ideals worth striving for.